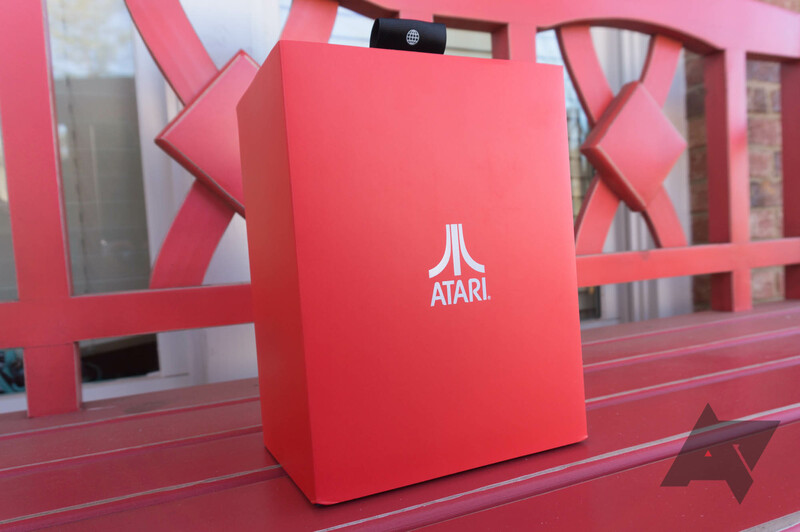 Atari has since joined the ranks of Polaroid and RCA as a brand name passed around different companies, with the original Atari Inc. and Atari Corporation being long gone. A holding company in France now controls the brand, with one of its subsidiaries being Atari Interactive (formerly known as Infogrames Interactive). 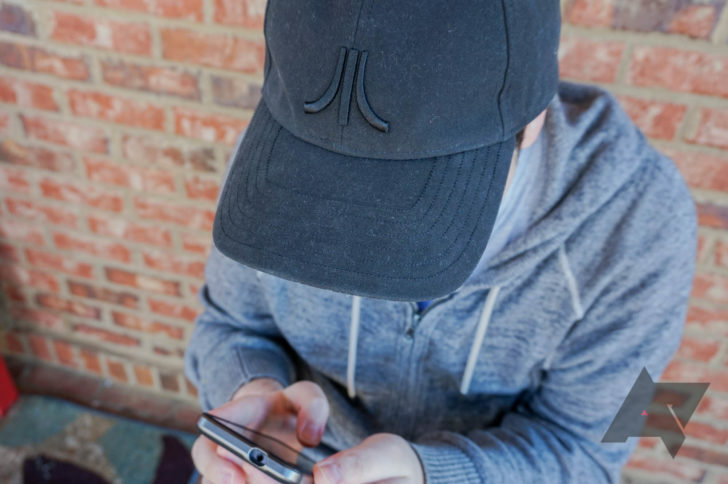 Atari Interactive released the 'Atari Speakerhat' near the end of last year, and as the name suggests, it's a hat with speakers. Unfortunately, the Speakerhat succumbs to the same problems other wearable tech products face - namely limited utility and a high price. Design There are several different designs, including one with the Pong logo. Functionality I didn't have any issues with Bluetooth connectivity, and the battery lasts for a long time. It's a hat It protects your head and provides limited shade. Sound The speakers aren't much better than smartphone speakers. Annoying Everyone around you can hear what you're playing. Not washable This can't be submerged in water. Perhaps unsurprisingly, the Speakerhat looks like a hat. I have the 'Fuji Blackout' version ('Fuji' is a nickname for the company's logo), which resembles a baseball cap. The company is also selling a Blade Runner 2049 Edition with a blue Atari logo with Japanese text on the front, and a Pong Anniversary Edition with the classic Pong logo. In addition to these baseball caps, there are also two 'snapbacks' (basically caps with a flat brim and a different strap mechanism). 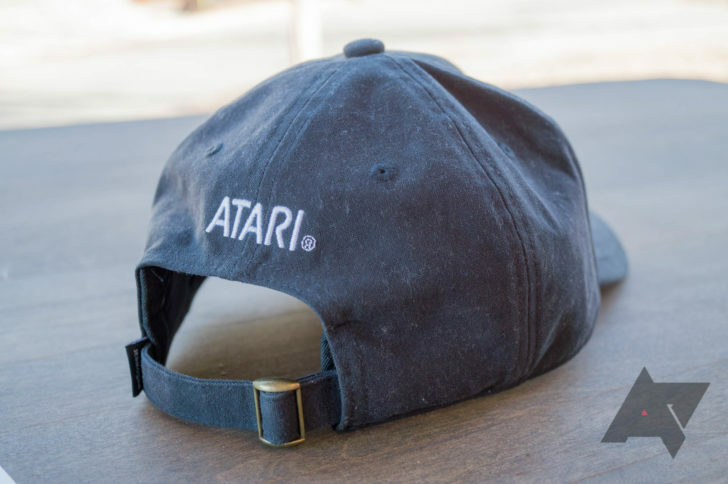 These come in both blue and white, with "ATARI" spelled out on the front and "video computer systems" on the back. 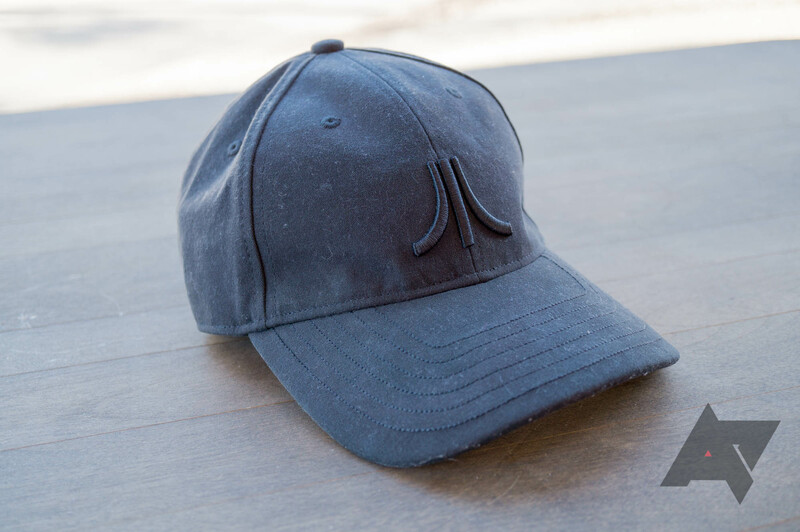 Both the cap and snapback has an adjustable strap to make sure your head properly fits. The inside is plastered with branding from Audiowear (the company that developed these hats). There are two small modules on each side of the hat - one containing the Bluetooth components and controls, and the other containing a battery. The modules cause the hat to feel a little different than normal baseball caps, but not to the point of being uncomfortable; it's almost like someone stuck a few quarters in each side of the hat. The Speakerhat has a single button on the left side, along with an LED indicator. The light will rapidly blink while in pairing mode, and will turn solid once the hat is paired. Holding down the button will turn the hat on and off, and a single press will pause/resume playback. The Speakerhat has no hardware audio controls, or any way to skip tracks. 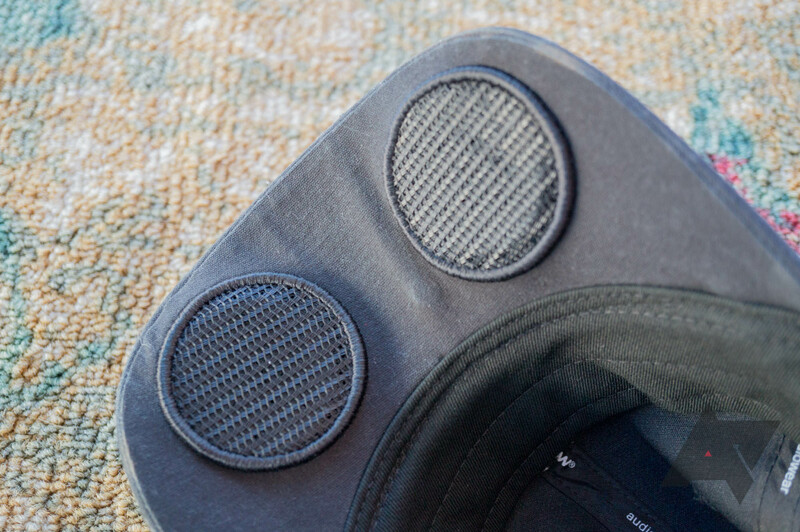 There is a small microphone located in the brim, so you can actually use the Speakerhat as a Bluetooth headset. If you have an incoming call, pressing the power button once will answer the call, and pressing again will end it. 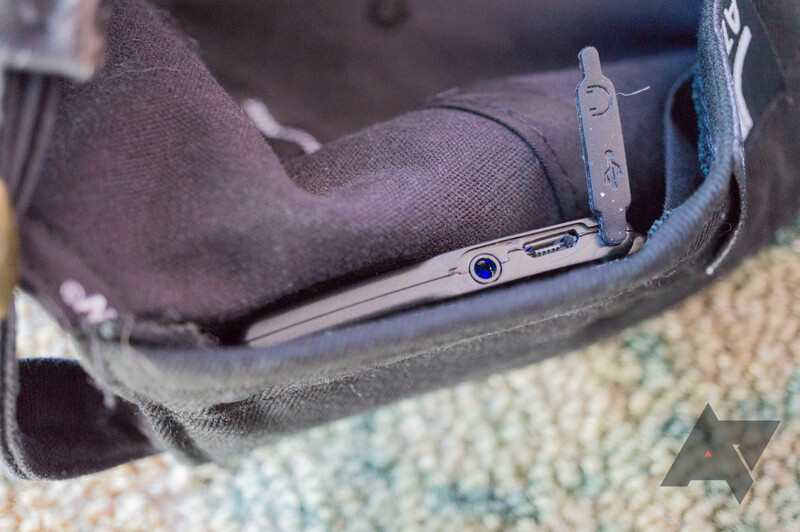 The Bluetooth module inside the hat also has two connectors - a microUSB port for charging, and a 2.5mm headset jack. If you want, you can connect the included headset into the hat for private listening, but having a cable coming out of your hat feels kinda weird. Speaking of charging, the hat's battery life is fantastic. I haven't charged it once since taking it out of the box. Unfortunately, the Speakerhat was one massive design flaw - it's not waterproof. You can't wash it, and you can't wear it out in the rain. Atari says you can clean the surface with a damp cloth, but that's it. 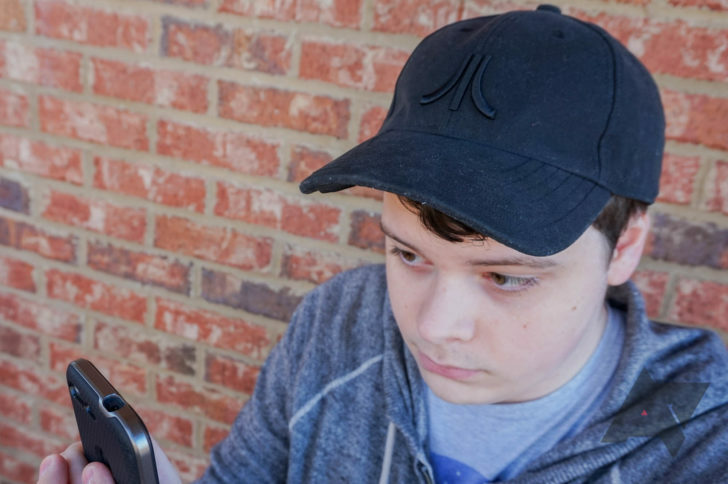 If you get sweaty while wearing this hat, your only hope to keep it from smelling like a bunch of dirty socks is to nuke it with Febreze spray. Water resistance is always a problem with wearable technology, like how Google's Project Jacquard can only be washed about three times, but not being able to wash this at all is disappointing. Atari says the Speakerhat contains "high-fidelity" stereo speakers, but how does it actually sound? If I had to sum it up in one word, it would be "fine." There's not much of a difference between the speakers on this hat and the speakers on your smartphone, except that the Speakerhat can be much louder. There's no bass, and everything sounds slightly tinny. It's fine for podcasts, YouTube videos, and other content with mostly talking, but playing actual music on the Speakerhat isn't great. On the plus side, the speakers are mostly facing in your direction, so you can clearly hear whatever you're playing. The manual and tech specifications don't mention aptX support, but audio latency seemed very low in my testing. Another problem becomes apparent when using the hat in public. Since these are speakers and not earbuds or headphones, everyone around you can hear what you're playing. This was my biggest gripe with the hat, because it meant I couldn't play anything unless I was alone or wanted to annoy everyone around me. When I'm alone, it's usually in a place where I already have a better audio setup (my work area, car, etc. ), thus making the Speakerhat pointless. If you want to watch a video or listen to music with people around you, the Speakerhat is good for that. But if you want to listen to something without everyone in your immediate vicinity becoming annoyed, this is not a good option. The Atari Speakerhat is a weird product. It's a piece of wearable technology, branded and marketed by a company that hasn't been relevant (except maybe as a game publisher) for the past two decades. In some situations, like when I was cleaning around the house or walking my dogs, I enjoyed using it. The battery life is excellent, Bluetooth latency is low, and I didn't experience any connectivity problems. It's not a bad product necessarily, but it's not practical in most situations. You can't use it in public without annoying people around you, unless you plug in a headset. You can't use it while exercising, because it will become dirty and sweaty, and it's not washable. The functionality is similar to the LG Tone Studio we previously reviewed, except those had easily-accessible earbuds that you could always switch to for private listening. If you really want to buy one, you can do so from the Atari Life website. But for the current price of $99, the Speakerhat is not a particularly great hat, and it's a mediocre speaker. As the old Atari Jaguar commercials said, "Do the math."